There is a saying.. 'When is the coldest day of the year'? The Bethlehem Airshow… Well that was true in 2014, this weekend the weather was perfect and all coats and jackets were removed by 10am as the temperatures rose. The only downside for us photographers had to photograph the displays straight into the sun. 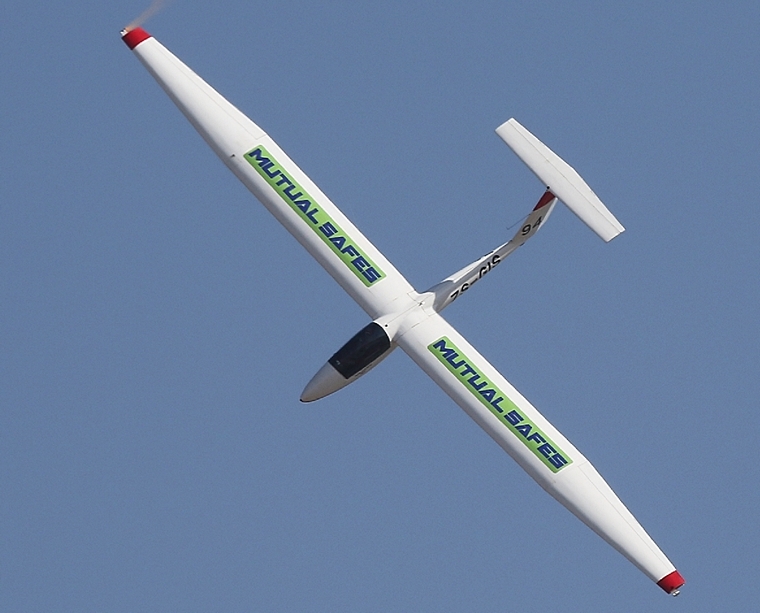 The Airshow was opened with the Glider display piloted by Gary Whitecross. Derek Hopkins flew the Lambada as the tug-plane. 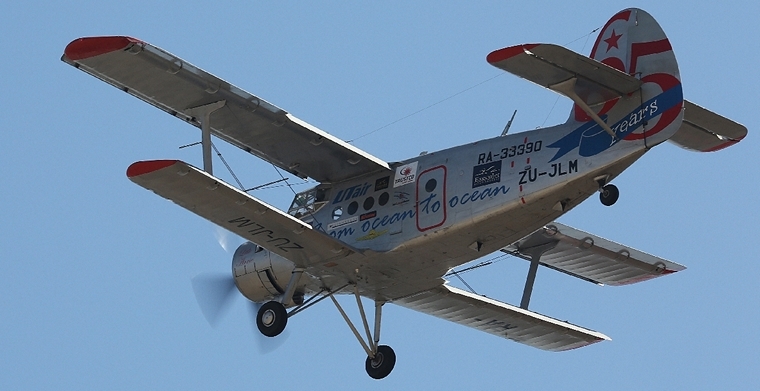 The AN2 'Little Annie piloted by Mark Hill then took off with the troop of seven skydivers, though as always the highlight was the big South African Flag that was displayed high above the airfield. The AN2 then came in for a display after the skydivers had landed. The Raptors three ship display was next to please the crowds, piloted by Pierre Gouws, Larry Beamish and Ryan Beaton. The 'Thrush' Crop Sprayer piloted by George Orsmond was next with his water display, the crowd loved this. Andre Coetsee then did his helicopter display in the Bell 222. 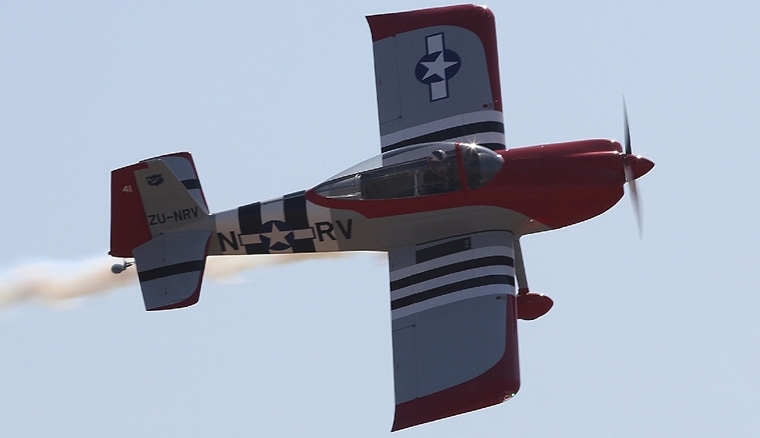 Pierre Gouws then had his turn to display the American T28 Trojan. The Goodyear Eagles Pitts Specials aerobatic team did an amazing display with pilots Johan von Solms, Dennis Spense, Glen Warden and Paul Coetzer. Ivan van der Schaar in his stars and stripes Pitts Special also did a lovely display. 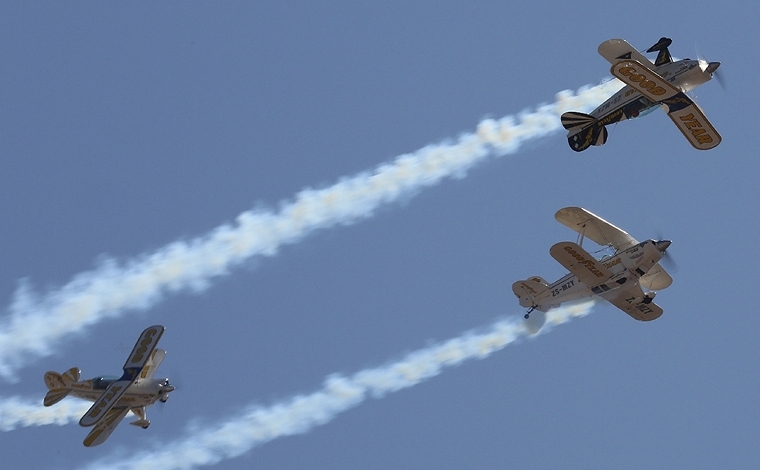 The Legendary Flying Lions led by Scully Levine with their T6 Harvards then took to the skies to display some of their daring feats and magnificent aerial display talents, which is always a crowd delight. The Boeing Stearman piloted by Larry Beamish did an awesome display, which the crowd enjoyed especially the 'Touch and Go'. 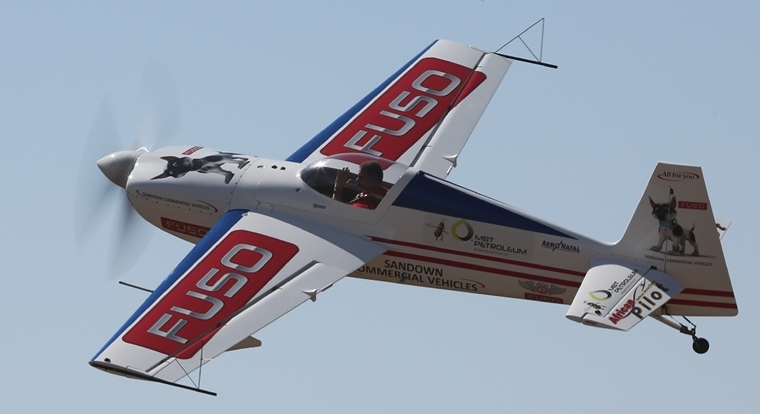 Team 80 - The Silver Falcons in their Pilatus PC7 Mark 2's piloted by Mark Gentles, James Wilcox, Omphile Mutloane and Wendy Badenhorst displayed their premier formation and aerobatic manoeuvres with such precision skill. 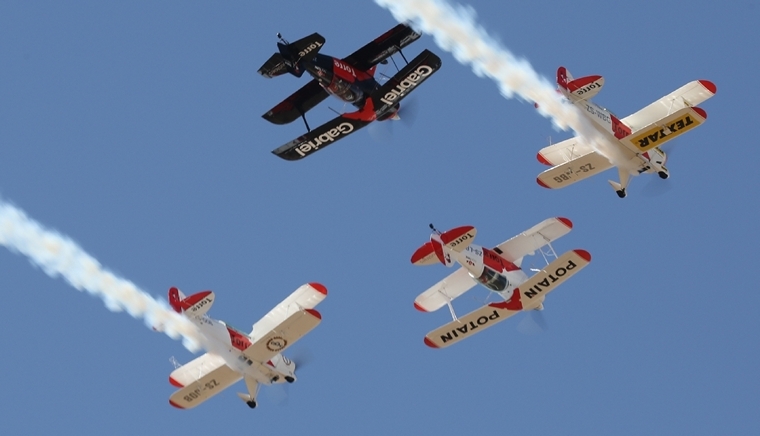 Later in the afternoon the Silver Falcons performed the 'missing man formation' in honour of Michel Leusch. The A Team - Torre Pitts were next with their four ship aerobatic display. The next display was Mike Wyngaards in the Impala owned by Dawid Laas. Mike's father a General in the SAAF had actually helped assemble this Impala ZU-IMP 479 which was the last of the 20 Impala to be delivered to the SAAF on the 3rd June 1966. The show ended with the L39 ZU-ROL flown by Glen Warden which had us all enthralled. 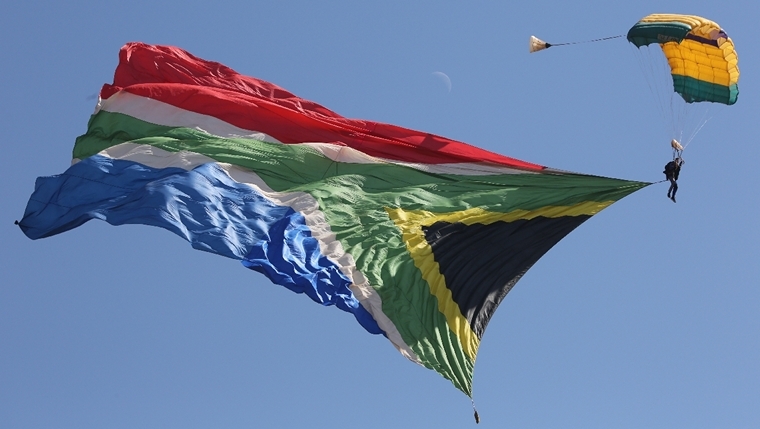 As always special mention must go to the ATNS crew, Flight Display Safety Office Koos Kieck, Flight Director John Neilon, Ramp Controller Peter Graham, Flight Display Director Charlie Marais and to Brian Emmenis and his team from Capital Sounds, for a safe Airshow.